We are very excited to announce the upcoming publication of Ursocrypha: The Book of Bear, previously published as The Bears, the first novel from writer Katie Welch, via the Amazon.com CreateSpace independent authoring system. Ursocrypha: The Book of Bear will be available for purchase via Amazon. When a terrible oil spill occurs in British Columbia due to a ruptured pipeline, the ensuing environmental disaster provides an immediate crisis for activist Gilbert Crow, arctic researcher Anne McCraig, and a young idealist named Jonathan Fuhrenmann. When they converge on the embattled community at the heart of the crisis, their desperate attempts to save the bears that they love will forge their beliefs in lasting and profound ways. A race against time, this passionate and spiritual journey leads them on a path that forever cements in their hearts a new morality for an anthropocentric planet. Ursocrypha takes readers on a spiritual and environmental journey through the parallel stories of the human protagonists and their bear counterparts. The bears’ mythological stories, beliefs, and backgrounds are mixed in with the human plot and are integral to its growth and development. 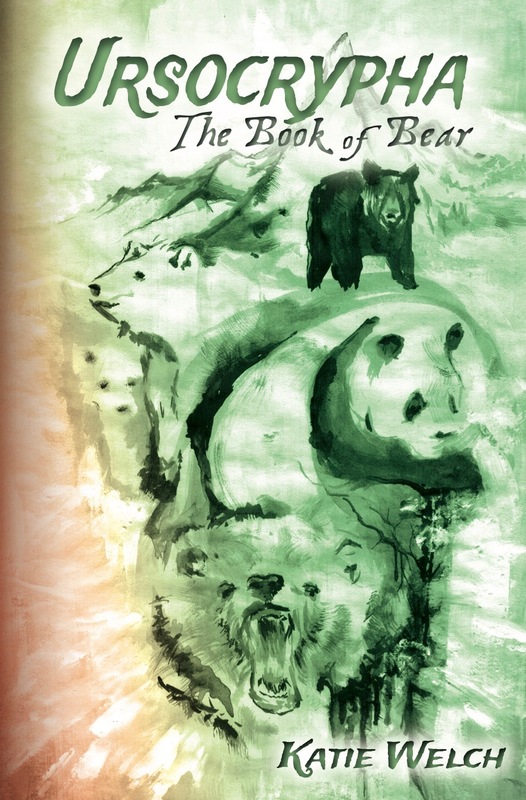 Taking a unique and spiritual route to addressing the morality and concerns in humanity’s multiple threats to nature, Ursocrypha: The Book of Bear is a dramatic and fulfilling story that keeps readers mentally and spiritually engaged until the very end. Watch this site for more news soon on additional book launch events! This entry was posted in Ursocrypha: The Book of Bear and tagged amazon, Katie Welch, novel, The Bears.